This boat is named Johnny Adventure, because I am good at naming boats. Weekends are for going to sing karaoke for your friend’s birthday but never knowing the available songs because all you know is 90s punk rock, musical theater, and obscure hymns from the 1800s. Also, video games. 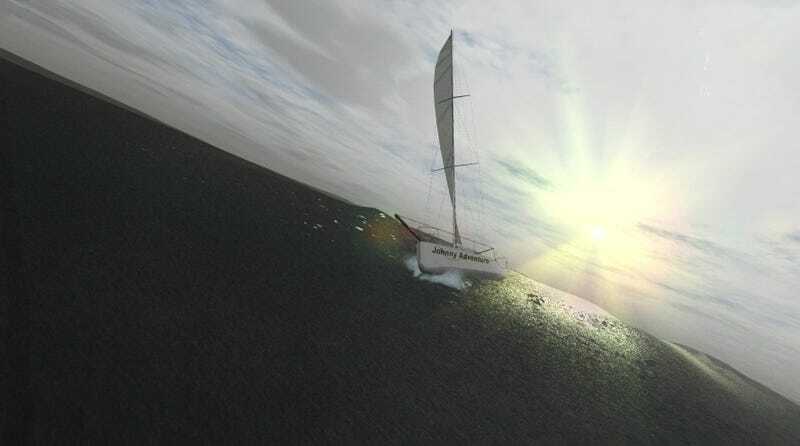 I’ve been playing Sailaway, a sailing simulator that just came into early access. It uses real-time weather data, so mostly I’ve been popping around the map seeing what the weather is like in different places. I’ll have more to say about it Monday. And I’ll admit to being a bit behind in my Witcher 3 playing, so I aim to rectify that.